Happy, Happy New Year, everyone! We made it to 2017 and we’re lovin’ it! This time of year is one of transition. We begin to settle into our New Year’s Resolutions, whether that means getting in shape, eating better, or being kinder to ourselves. Whatever you resolve to accomplish in 2017, it’s important to set attainable, measurable goals for yourself. For us, this is the year of healthy skin. We want to focus on caring for our largest and most visible organ this year, and we’d love for you all to join us. Here are our New Year’s skin care resolutions–quick and easy lifestyle changes that’ll give you the best skin of your life. Want clear skin this year? Then you have to take your makeup off before bed. Sure, it’s easier said than done to muster the energy after a long day, but all of the dirt, sweat, and makeup that found its way onto your face will linger. Lingering pollutants usually lead to clogged pores, and clogged pores mean breakouts. We recommend choosing a remover or cleanser that is pH-balanced and leaves your skin feeling fresh, like our Liquid Face and Body Wash. This is one of those skin care resolutions that you can’t overdo. On one hand, gentle exfoliation clears the skin of dead cells and all the dirt you cannot see. Overzealous exfoliation, on the other hand? That’ll strip away a layer or two of your skin. Exfoliation is the key to youthful skin, so we recommend carefully buffing your skin with a washcloth or loofah 1-2 times per week. Sun damage is a real risk, even in the dead of winter. You’re at risk for sun damage no matter your skin type. We can’t express how important it is to always apply a lotion or cream with SPF, which blocks UVA and UVB rays. Embracing sun care helps you prevent wrinkles and age spots. Just be sure to choose a product that won’t clog your pores. We all love living a colorful life, so let a little color into your diet! Leafy greens and other beautifully colored fruits and vegetables reinvigorate your meals. They’re delicious, versatile, and rich in Vitamin C, which keeps your skin radiant. Many of us resolve to drink more water every year, and for a good reason. The more water you drink, the clearer your skin will be, and the easier it will be to take care of yourself. Pick up a cute water bottle, throw in a few berries for added taste, and drink up! Dry skin is especially problematic during the winter. Moisturizing your body and face on a daily basis is one of the easiest ways to protect yourself from dryness. We suggest applying your favorite lotion or cream after your shower to lock in the hydration your skin craves. What you put into your body shows on your skin, whether you want it to or not. Adding a little extra good fat to your diet will help to keep your skin clear and radiant. Foods like fish, vegetables, olive oil, and tea let you retain the right amount of fat for glowy skin, guaranteed. In addition to lifestyle changes, you need a strong skin care routine to really boost your overall health. Crafting a skin care routine that really works is the most important of all skin care resolutions. 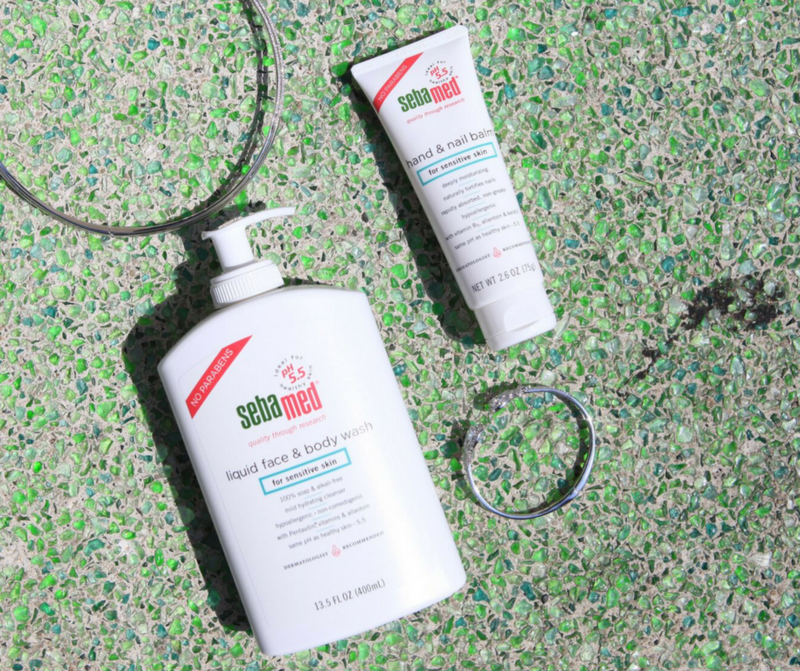 Sebamed offers a wide range of products that are perfect for any and all skin types. Check out our full product offering here.